- Updated game with latest assets. - Added "Frost Warrior's Set (Permanent)" box to the game for future Mystery Box. - Added "Dracula Set (Permanent)" box to the game for future Mystery Box. - Added Dracula Costume to the game. NOTE: This costume is now available in the Mystery Boxes! [removed] Increases champion experience received by 15%. [removed] The effectiveness of recovery items is increased by 20%. [added] All attacks are increased by 5%. [added] All elemental resistance is increased by 5. [added] There is a 3% chance of causing Blood Rush. - Modified Erze debuff duration from 4 -> 7 seconds. - Fixed the Halloween Quest bug where it would state you've already completed the quest. - Fixed Erenia map bug. Please ensure you fully update your client for this bug to be fixed. - Fixed the Zombikit Bride debuff "Curse of the Bride". 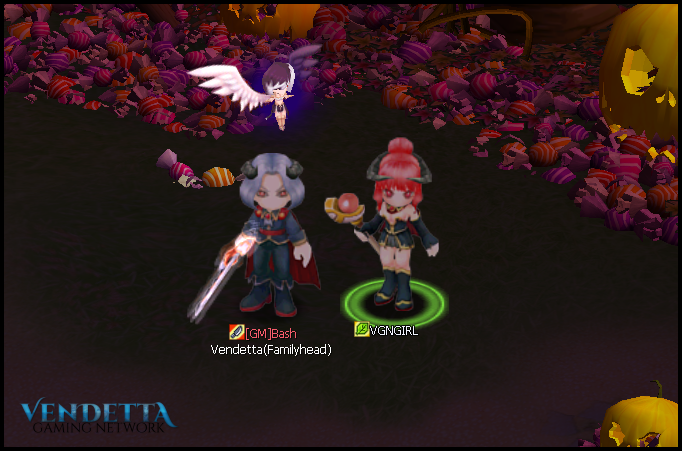 - Fixed the bug where VGN Power Candy would delete from your inventory after relogging. 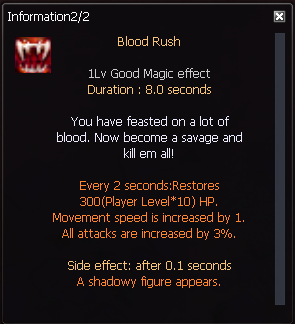 - We're aware the Blood Rush multiply is slightly off, this bug will be addressed soon. The HP will regen it's real amount it is just a visual bug.